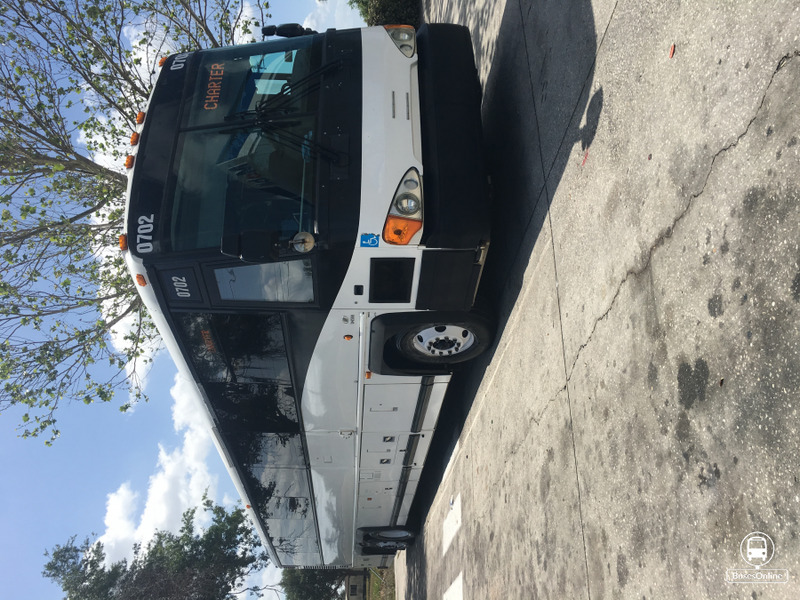 We have FOR SALE 25 1999 MCI 102-D3 busses. It carries 49 passengers and it also has a handicap RICON F9T wheelchair lift. It has a Series 60 Detroit Diesel engine and an Allison B500 transmission. The tire size is B315/8022.5. Has ALL Aluminum alcoa wheels. The miles of these busses are in the 600,000 and 700,000. These busses are compressed natural gas CNG that have expired tanks and they would definatley need to replaced or converted back to diesel. We are also able to part out some of these busses so feel free to contact us if you are looking for any part. Hello, I saw your listing on busesonline.com. Please send me more information about Bus 1999 MCI. 2008 MCI 56 Passenger Tour-Bus D4505 Chassis Classy interior, with blue cloth passenger seats Caterpillar C13 engine, Allisson B500 6 speed transmission Six flat screen Monitors running off a DVD player and REI sound system. Passes CHP inspection for SPAB certification every year with no problems.